English Thoroughbred Horse. A beautiful breed originally from the UK. The English Thoroughbred Horse is a breed, a very beautiful breed originally from Great Britain. In fact, its English name Thoroughbred means bred in purity. These stallions were coupled to over 100 local mares, the so-called foundation mares, chosen for their suitable conformation and for their speed. From the three founders of the race descend as many founders and precisely by Byerley Turk, through four generations, you get to Herod, from DarLey Arabian, through four generations, you get to Eclipse, by far the most important stallion, and from Godolphin Barb in second Matchem generation. The stud book of the breed was established in 1791 in England and its update is always taken care of by the Weatherby family. However, if we want to identify general lines, we can say that certain physical types are more suited to attitudinal characteristics: the stayer, small and harvested on the bottom, the sprintee is taller and with heavily inquarted shapes, with great speed and intermediate with oblique rump, inclined shoulder and rather short back which makes it suitable for obstacle courses. The racing career of the English Thoroughbred Horse begins rather early: at 2 years and, for things level, continues up to 6-7 years, rarely beyond, while in obstacles his career continues until 13 or 14 years. The races in Italy are disputed on flat distances between 1,000 and 4,000 meters and there are races for only 2 or 3 years or races for 3 years and over. The English Thoroughbred Horse always has elegant lines and harmonious shapes and is clearly dolichomorphic. It has a small, well-attached head, ears of right proportions, large, bright eyes, wide nostrils and thin lips, the neck is long and straight, with a dry and prominent garrese, the elongated dorsal-lumbar line, the well-inclined shoulder anf the limbs are long and well shaped. Thanks for the visit and we can not wait to do it soon. Each visit is particularly welcome and now discover our Thoroughbred Watch, dedicated to this magnificent breed. 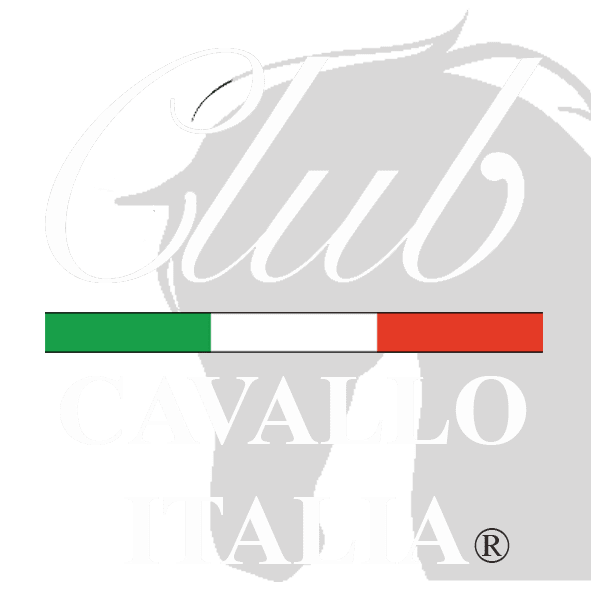 Just a moment, please: if you liked the English Thoroughbred Horse, send the page link to those who will appreciate it, we will be very happy and if you want to write us: info@clubcavalloitalia.it We always answer. Thank you again.